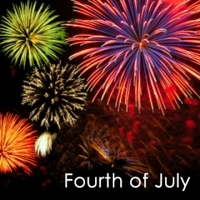 Broward Real Estate: Delray Beach Fourth Of July Bash 2016! July 4th will be filled with fun for all ages!! Have your Perfect July 4th in Delray Beach! Located on A1A and Atlantic Avenue, this FREE event will feature back to back live music with MainStreet Dreamers & The Holidazed! Be sure to sign up for the sand sculpting contest hosted by Delray Marketplace and challenge your friends to a game of putt-putt at the Putt’n Around mini golf course. Family activities include a Splash Zone featuring a water maze and dunk tanks, a Kid’s Corner hosted by the Avenue Church with face painting, craft activities, sidewalk chalk and a giant community mural. Adults can cool down at the Beer Garden hosted by Burger Fi, Caffe Luna Rosa, and Boston’s on the Beach. We’ll also have a custard eating contest for kids and a burger eating contest for adults courtesy of Burger Fi. Visit the LocaLynx booth to enter the “Seek in the City” mini-scavenger hunt! At 8:30pm Daya will perform her hit singles and count down to the fireworks finale. Fireworks begin at 9pm and launch from the north end of the beach and are simulcast by Wild 95.5. · 8:15pm – Daya will perform her hit singles (including "Hide Away") & count down to the fireworks finale!